A NASA spacecraft under construction for launch in 2016 to retrieve samples from asteroid Bennu could benefit from an extra load of fuel, allowing an extended stay at the asteroid or a return to Earth a year early. The $1 billion OSIRIS-REx mission is scheduled for launch from Cape Canaveral on Sept. 3, 2016, and a United Launch Alliance Atlas 5 rocket will send the probe on a two-year voyage to asteroid Bennu, a near-Earth object scientists say is made of primitive material from the ancient solar system. The specimens collected from Bennu could help researchers better understand how the solar system’s planets formed, and the material might contain the building blocks of life. 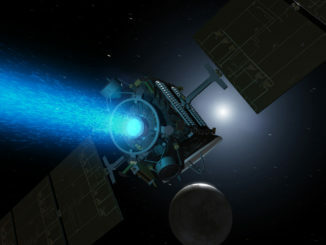 Engineers have come up with a plan to fill OSIRIS-REx with more hydrazine fuel, giving the spacecraft more propulsive ability on its interplanetary journey, according to Dante Lauretta, the mission’s principal investigator at the University of Arizona. The OSIRIS-REx spacecraft, being built at a Lockheed Martin facility in Denver, is coming in lighter than the lift capability of the Atlas 5 rocket, which will lift off in its “411” configuration with a four-meter payload fairing, a single-engine Centaur upper stage, and one strap-on solid rocket booster. 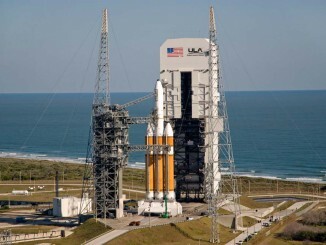 The proposal — described as a “heavy launch option” — would add an extra 341 pounds of fuel to the spacecraft’s fuel tank. The “411” version of the Atlas 5 rocket can lift up to 4,651 pounds of mass on the trajectory needed for the OSIRIS-REx mission, and the spacecraft is currently projected to weigh about 4,310 pounds when fueled for launch. 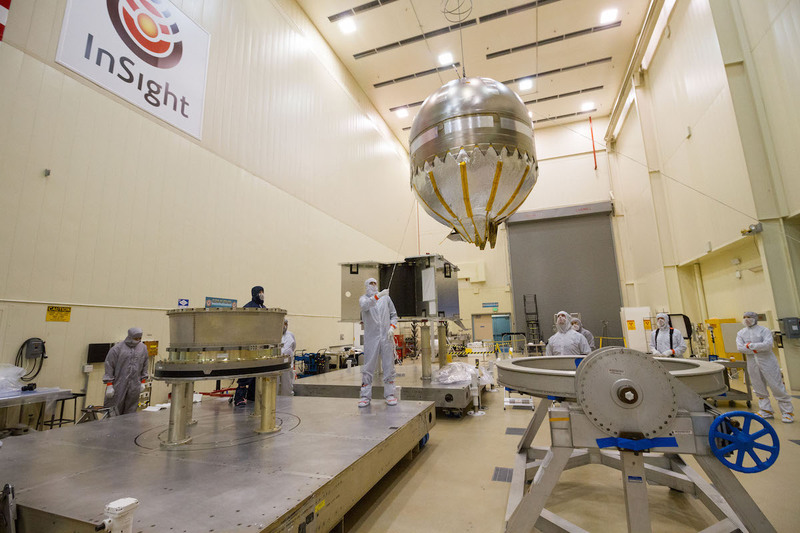 “Our main propellant tank has the additional capacity to accommodate the extra 155 kilograms of propellant — enabling both an early return and a late departure option from Bennu,” Lauretta said. A final decision on whether to fuel OSIRIS-REx with more propellant is still a couple of months away, according to Bill Cutlip, the mission’s launch vehicle manager at NASA’s Goddard Space Flight Center. NASA’s Origins, Spectral Interpretation, Resource Identification, Security, Regolith Explorer, or OSIRIS-REx, is due to arrive at asteroid Bennu in late 2018 after a gravity slingshot flyby of Earth in 2017. After a close-up survey of the asteroid, scientists will select a sampling site where the OSIRIS-REx spacecraft will descend and snag a specimen of rock and dust from Bennu’s surface. The mission’s original flight plan called for OSIRIS-REx to depart Bennu in March 2021 and cruise back to Earth, deploying a landing capsule containing the samples to parachute to touchdown in Utah in September 2023. 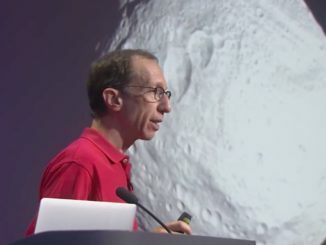 In a presentation last month to NASA’s Small Bodies Assessment Group, Lauretta said navigators on the ground could use the extra propellant to keep OSIRIS-REx near asteroid Bennu longer than planned, and still return to Earth as scheduled in 2023. OSIRIS-REx could also leave Bennu in January 2020 and make it back to Earth a year early in late 2022. Lauretta pitched the idea as a chance to reduce the mission’s risk and enable an early start to the analysis of the asteroid’s samples. 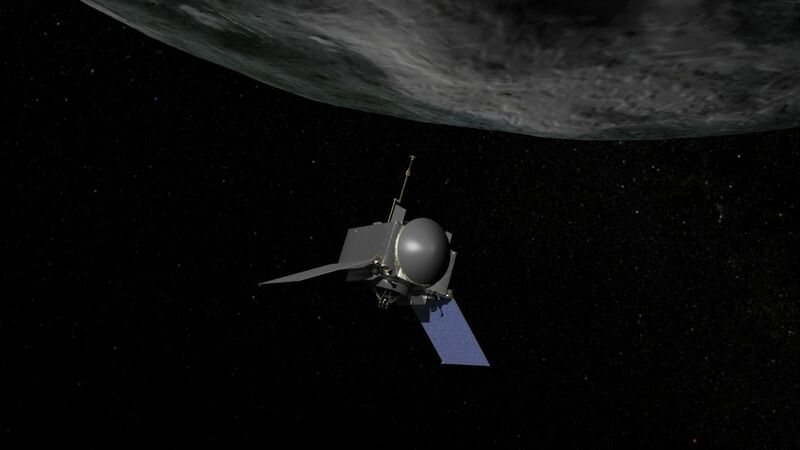 Under the current plan, OSIRIS-REx will loiter near asteroid Bennu for two-and-half years. More than 500 days of the timeline is set aside as margin for bonus scientific observations or in case the mission encounters problems.